By having a non-traditional New Year Card designed, the leading player in the Belgian real estate sector AG understood that not every interaction with its customer needed to be sales-related. A pop-up card always reveals an unexpected treat. Creating an interactive, 2D-kind of card was for us the perfect way to make AG’s business stand out. The pop-up elements create an attention-grabbing perspective effect which makes the glory of NY seem real together with its magical and sparkling atmosphere. Since we believe in flexibility as a key factor to success, we also took on the challenge to integrate a digital equivalent to the printed version of the card. 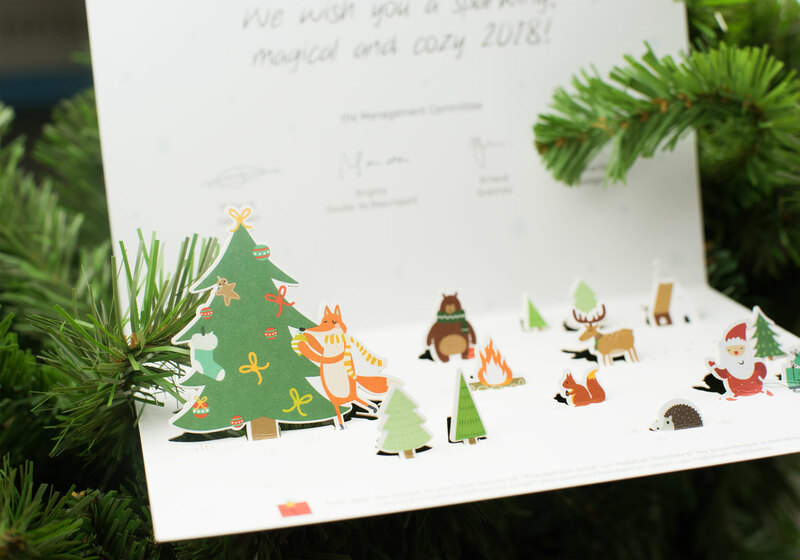 We made sure that the printed Christmas tree, winter house, fox and adorable bear came to life in order to carry us into another world. Every creation process encounters some difficulties. The obstacle for us to get around was the requested color-contrast: bright red on one side, white with eye-catching elements on the other. 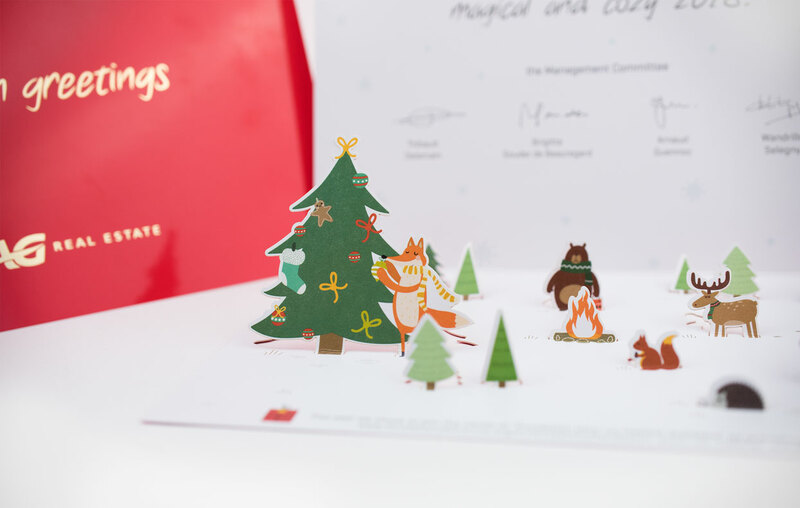 However, the hot foil stamping on the seasonal greetings and AG’s logo made everything right and fitted perfectly within the New Year’s theme. Last but not least, we were pleased to mention Samilia Foundation at the bottom of the card, a cause AG decided to join in 2018.